Enjoy long lasting steam performance and hassle-free maintenance with the Braun TexStyle 3 steam iron. Providing you with flawless smooth ironing results even at the smallest details of your clothes, the TexStyle 3 uses fibre-deep steam to remove even the deepest of creases for perfect results, allowing you to tackle your ironing with ease. The soleplates combine together technology with insightful design to give you the high performance you need to ensure flawless, premium results. The precision tip effortlessly smooths even the toughest wrinkles such as in linen and can also be used vertically, which is ideal for removing creases in curtains and hanging garments. The special design of the Precision tip makes ironing easier, especially in those tricky areas – like around button, collars, cuffs, pockets, lace or pleats. The Ceramic Soleplate is beneficial to bring the iron’s performance on and into your fabric and gives you quicker ironing and a smooth glide. 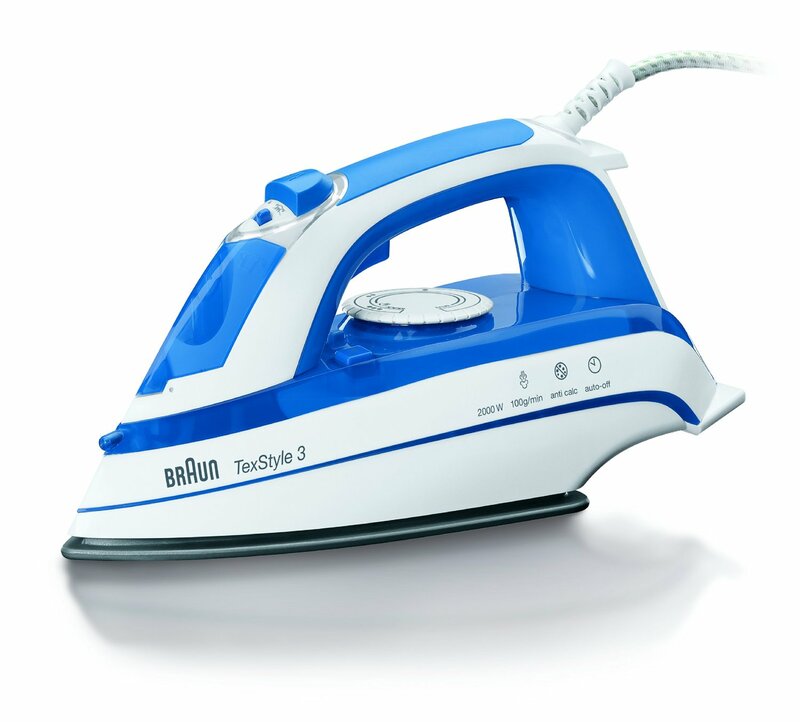 The Braun TexStyle 3 steam iron has a 2 m cord for flexible ironing as well as a large sized easy-fill 300 ml large water tank, meaning you do not have to constantly fill it up. 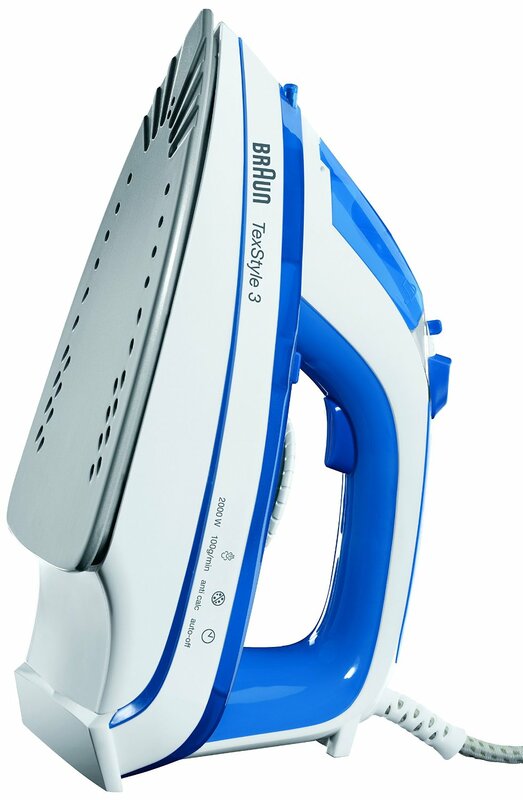 The ideal combination of a 2000 W power output and steam emission provides an optimal end result and the self-clean function cleans the soleplate from scale particles, providing you with a more reliable steam iron.